Optofine always followed principals, ethics and transparency in the business. OPTO FINE INSTRUMENTS PVT. LTD. was established in 1999 as a Medical Division of fine group now a Major Player in field of manufacturing of Various type of testing machines. We are also supplier of Refurbished Surgical Microscopes, Refurbished Ophthalmic Microscopes, Refurbished ENT Microscopes, Refurbished Zeiss Surgical Microscopes, etc. Read more..
"Pursuing customer satisfaction as a sole motto Optofine always followed principals, ethics and transparency in the business." Optofine evolved as a one of the largest manufacturers of surgical microscopes and also trade in Endoscope and Endo cameras. The Skin graft is usually put through a speical machine callled skin graft expander. Extremely high optical output over 6000 lumens for single package. Our Aims to provide worlds greatest technologies at affordable price. We do our best to stand out! OPTO FINE INSTRUMENTS PVT. 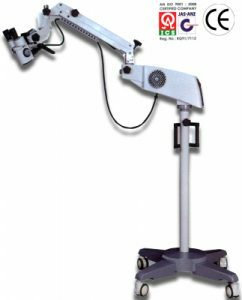 LTD. was established in 1999 as a Medical Division of fine group now a Major Player in field of manufacturing of Various type of testing machines.